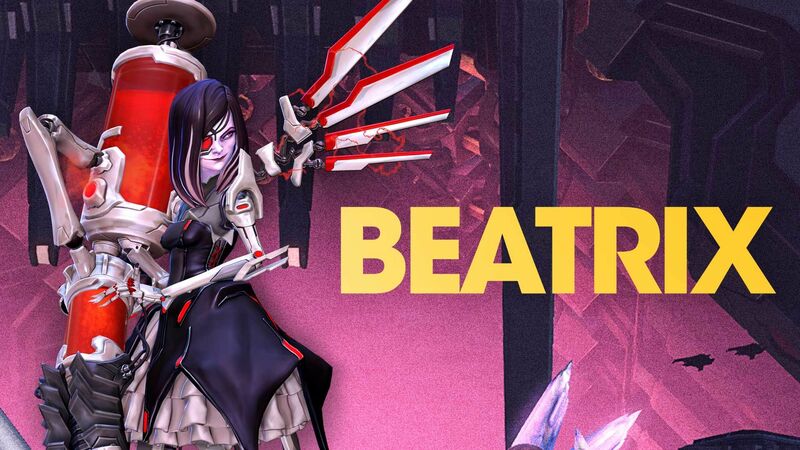 Welcome the latest Battleborn hero, Beatrix! This ruthless Jennerit scientist is the fifth of five DLC heroes coming to Battleborn post-launch. Precise, deadly, and obsessively hygienic, Beatrix wields a massive syringe arm to spread debilitating debuffs and disease. A master at manipulating life, her prowess for science combined with her Jennerit ruthlessness makes her one extremely qualified, and EXTREMELY DANGEROUS physician. Learn more about Beatrix here. Now you can team up with Alani, Pendles, Ernest, Kid Ultra, Beatrix, and the core 25 Battleborn to take on the traitorous Rendain and those interdimensional jackholes, Varelsi, as they try to darken every star in the universe. Each DLC Story Operation is available with the Season Pass upon release or can be purchased individually from the in-game Marketplace for 700 Platinum. Snag the Season Pass today and get access to “Attikus and the Thrall Rebellion,” “Toby’s Friendship Raid,” and “Oscar Mike vs The Battle School,” as well as the next two Story Operations upon release. Skins, taunts, and boosts are now easier to get from the Marketplace! Score your favorite hero skin by earning Platinum in-game through Daily Quests. With the release of the Winter Update, you’ll notice two new buttons at the bottom of the screen, one for Main Quests and the other for Daily Quests. Main Quests reward Credits upon completion and Daily Quests reward sweet, sweet Platinum. So how do these Daily Quests work? 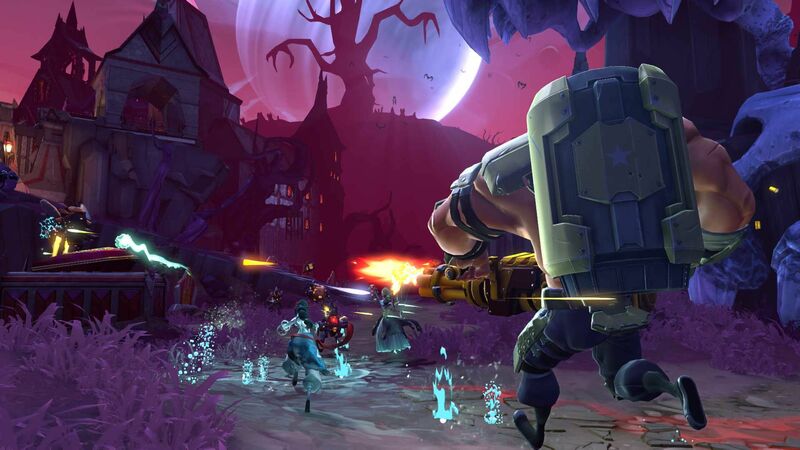 Jump into Battleborn and each day you will have a Daily Quest to complete. Each quest rewards either 4, 10, or 32 Platinum depending on the rarity of the quest. The more Platinum you can earn, the less common that type of quest will be. If you can’t play for a day, don’t worry. Your quest will still be waiting there the next day. Be sure to check in daily to complete your 4 Platinum quests and so you don’t miss any 10 Platinum quests. Whenever a 32 Platinum quests comes around (at least once a week), it will pop up for everyone who logs in that day – and only that day, overriding any lower Platinum quests so you don’t miss out on the big rewards. Just like with other rewards, you’ll be notified at the end of a match or mission that you’ve completed a quest. Leaver beware: If you don’t complete a match or you leave early, then you will get no credit towards completing a quest.